Electronics & Innovation (E&I) manufactures ENI's ultrasonics, HF and VHF power amplifiers, phased array amplifiers, modules and impedance transformers. They are characterized by large bandwidth and high linearity and proven robustness with all loads. Flexibility and fast development of customer specific amplifiers are strengths of E&I. These power indicators measure output power and reflected power. 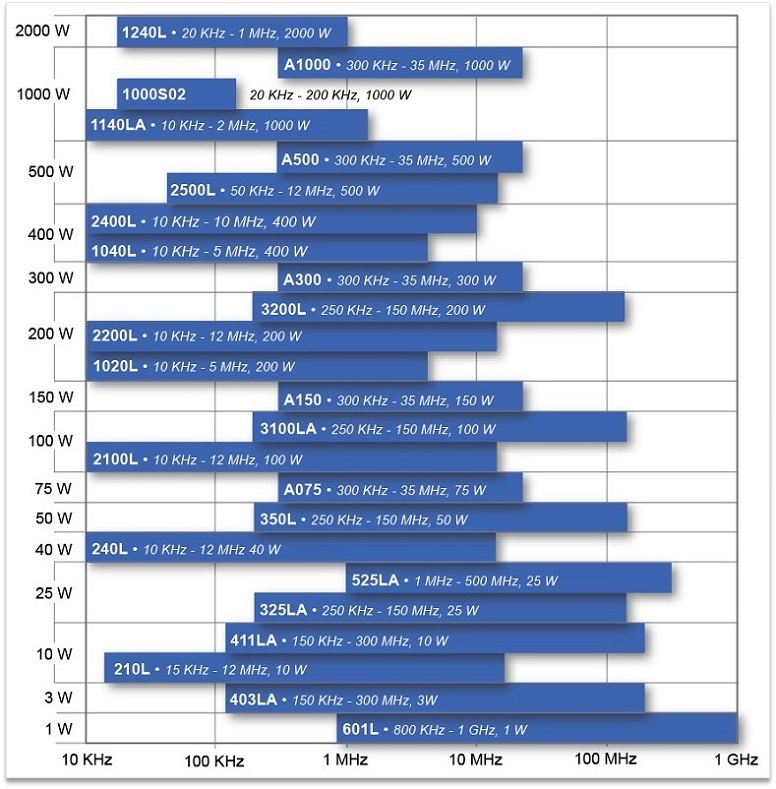 Four different types cover 10kHz to 150MHz, up to 2000W. E&I has developed impedance transformers with 50 Ohm input impedance and output impedances between 3 Ohm and 200 Ohm for out powers up to 150W and frequency ranges from 10kHz to 10MHz. For RF powers up to 1 Kilowatt E&I has developed Locked-On impedance transformers with 50 Ohm input impedance and hot switchable output impedances. If you need different impedances please ask us for customer specific designs. With a capacitive load (e.g. ultrasonics transducers, piezoelectric crystals) there will be mismatch losses, which are explained in this application note. New class D amplifier family, highly efficient, compact, low weight! Electronics and Innovation's extensive amplifier research has led to the development of amplifier systems with controlled delay and phase for each amplifier module for linear or curved arrays of ultrasonic sensors. 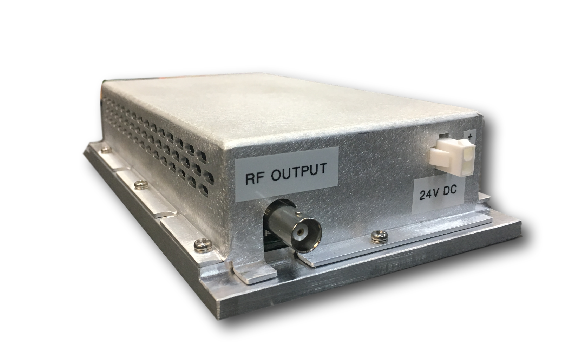 These highly linear phased array amplifiers are available in class A or AB designs with 2 to 61 channels, RF powers up to 100W per channel and for frequencies from 250kHz to 150MHz. Klicken Sie auf den Verstärkertyp für das Datenblatt. E&I is renowned for its highly inear, robust and reliable HF amplifiers. That technology is now available as modules, pallets and subsystems. They are available in various power classes from 1W to 400W for frequencies from 10kHz to 35MHz, e.g. for ultrasonic applications or ISM band applications at 13.5MHz and 27MHz. Other combinations of power and bandwidth are available upon request.